4 spd shifter differences c2-c3? I think the shifter is the shifter and the transmission is the transmission. And I don't think there's any difference in the transmission. There's a different PN for both the shifter and the linkage for the C3, vs the C2. I know, because used or discounted Hurst C3 shifter and linkage combos are really tough to find on both Craigslist and EBay. I looked for months and finally, just recently one set of both popped up on EBay for $450, vs $580 to $620. It was a buy it now or obo and it had two watchers, so I pulled the trigger. It was a brand new kit that's some one brought to install in a C3, but never did and had sold the C3 a long time ago. I then purchased the Hurst Pit Pack with the steel linkage bushings immediately afterwards. It's going into my C3 along with the new engine next month. PS: There was a new C2 kit in my local CL for months, but the PN's as mentioned weren't the same and I didn't want to get stuck with something that didn't work. Last edited by F22; 02-22-2019 at 09:43 AM. you may need to do some online researsch but i would think that the actual shifter mechanism is the same. 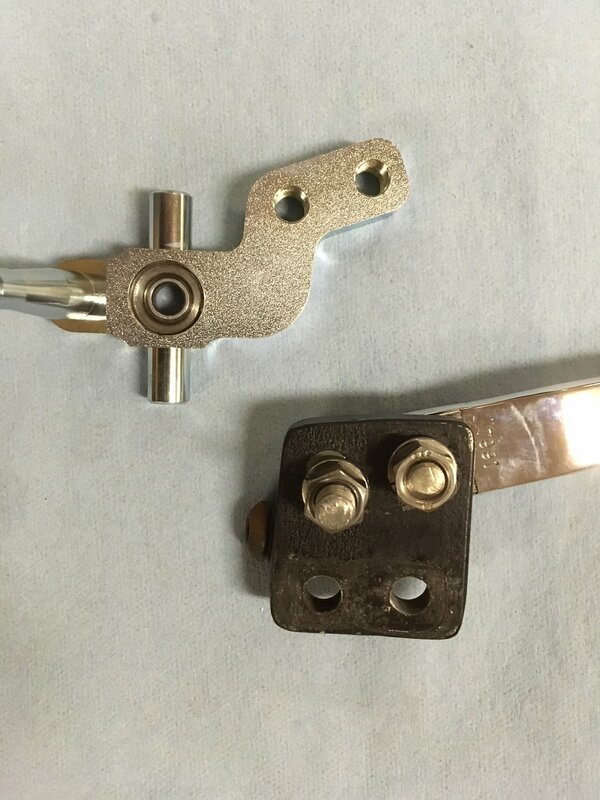 The levers are different from vehicle to vehicle/ make to make, the mount to the transmission to push it further to the side in some applications, then of course the rods. If you already have it, bolt it in, its just time under the car and playing in the console. You may have to shim the shifter to the lefft to get it to fit centered in the console hole but everything else would be fine. Last edited by Rescue Rogers; 02-23-2019 at 07:53 AM. The shifter itself will likely be the same, the differences will be in the linkage, mounting bracket, and shift handle. If you have access to an old Hurst catalog, all those parts are listed so you can figure out what you need. When I installed the TKO600 in my '79 the trans they gave me was for a C2 and I had to fabricate an adapter to put the shift handle in the correct position. Since then they have come up with the correct shifter configuration for the C3 which I have since installed, so there is definitely a difference. Below is a photo of the C3 shifter next to the C3 shifter handle attached to the adapter I fabricated. The C2 shifter comes straight up out of the transmission, the C3 shifter is positioned rearward and angled back about 30 degrees.